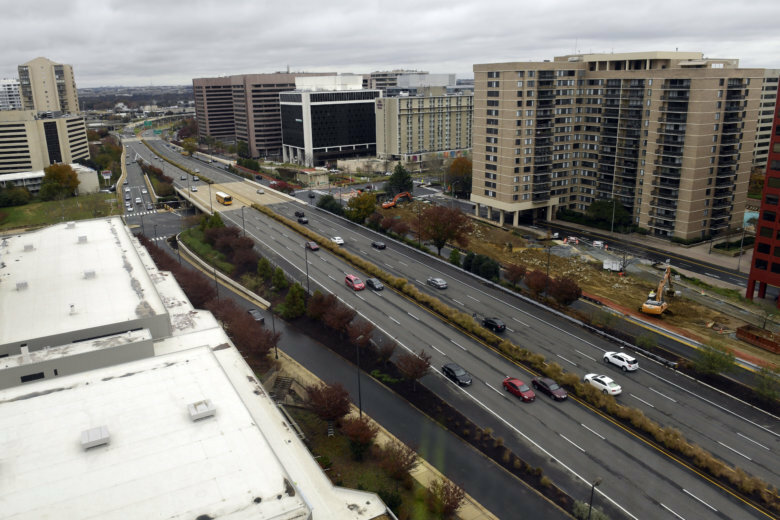 WASHINGTON — Parking prices in parts of Arlington could soon rise and fall based on demand, just like Interstate 66 tolls. Virginia is considering providing $5.4 million for a system that would detect the number and location of empty and full street parking spaces in the Crystal City area and the Rosslyn-Ballston corridor in order to raise prices on busy blocks and lower prices where there are more spaces available. In San Francisco, a similar project aimed at keeping at least a space or two open on each block cut down significantly on traffic from cars circling blocks looking for spaces, said Cathy McGhee, Virginia’s transportation innovation head. She recommended that the project be funded from dedicated state transportation innovation funding. The Commonwealth Transportation Board would vote on the recommendations in June. Overall, the recommendations this year aim to push the envelope a bit more than in the past to see what will work in Virginia, Deputy Transportation Secretary Nick Donohue said. “The parking concept that’s being evaluated potentially in the Crystal City area with Amazon and Rosslyn/Ballston — San Francisco’s done that. We know that works,” he said. The District has implemented a similar system, with prices that are updated every three months. If it works here, it could be expanded to other urban parts of the Commonwealth. Other parking projects recommended for funding include about $2 million for sensors and information signs about parking availability at eight Virginia Railway Express or commuter lots in the Stafford, Fredericksburg and Spotsylvania areas. The information would also be fed into a state data portal that is accessible through third-party mobile or web apps. “Part of the evaluation as well, as we begin to provide parking information to drivers: How do we do that in a way that doesn’t distract them?” McGhee said.